I made cupcakes for a friend for her wedding. The theme of the wedding was “Til Death Do Us Part.” Quite perfect since it was the weekend before Halloween! All decor and attire was black and white. Very stunning! 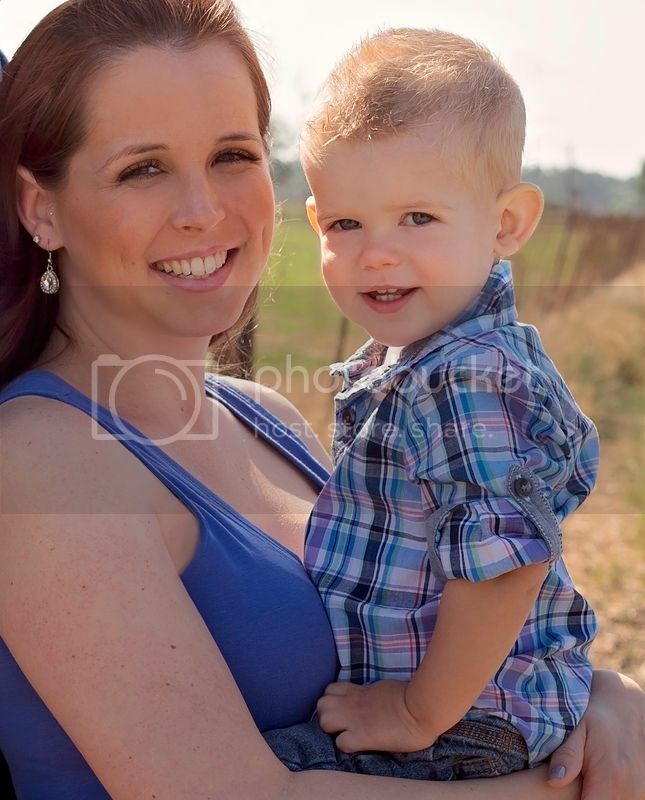 It was fun to get to make them and be there to enjoy their special day too! The cupcake liners I purchased from The Tomkat Studio Store and from Fancy Flours. I made white cupcakes with Golden Oreos in the bottoms and Golden Oreo frosting. The other half were chocolate cupcakes with regular Oreos in the bottoms and in the frosting. Me being a non-chocolate gal, I of course picked a Golden Oreo cupcake at the wedding. YUM. I used 8 packages of Oreos. I made my husband buy them for me because that’s pretty embarrassing. 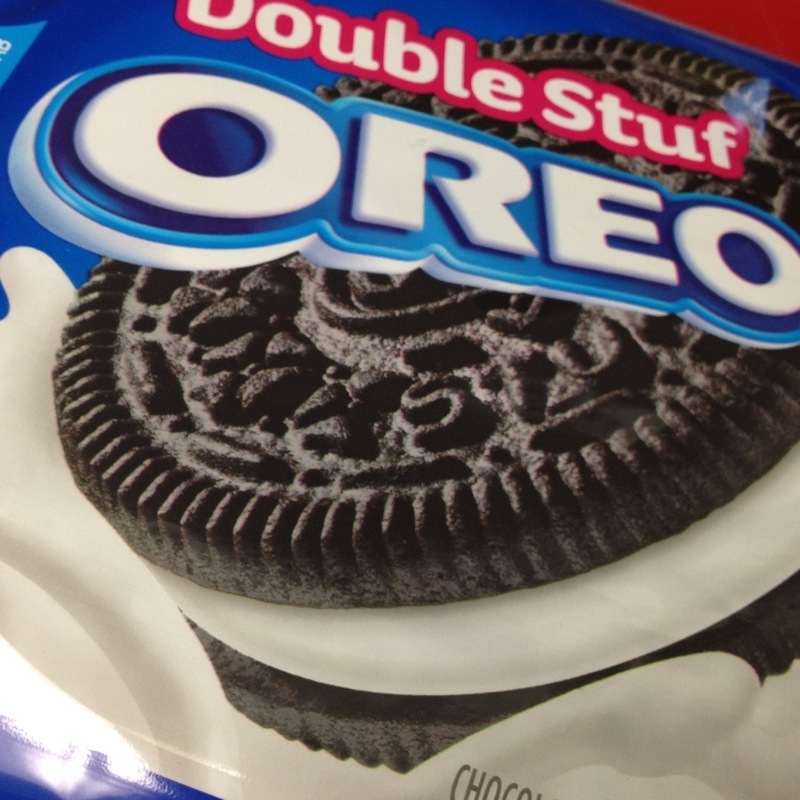 Oh, and I only use Double Stuft, cuz duh. 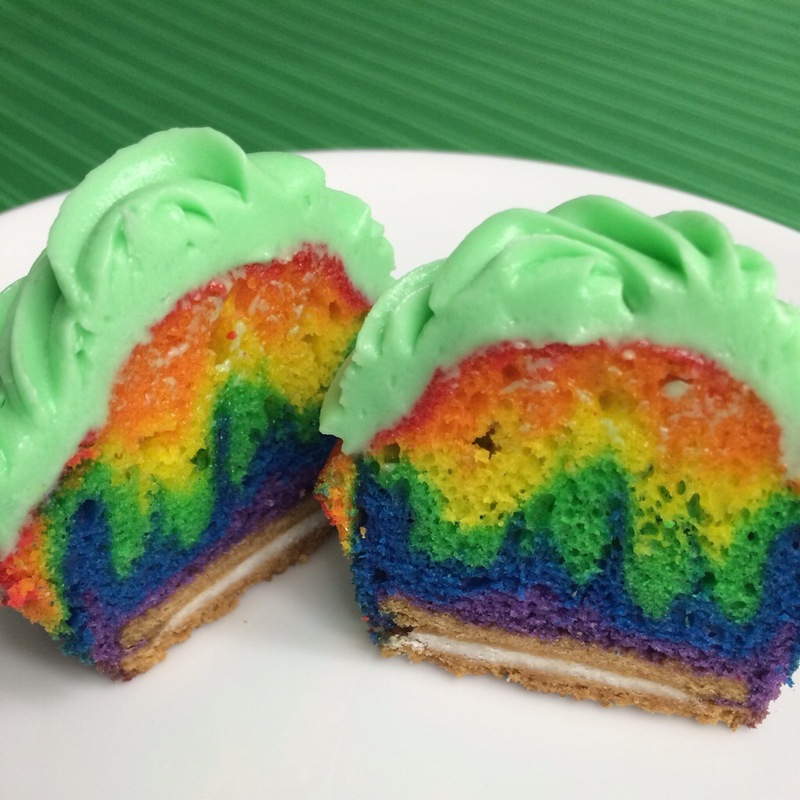 These are SO easy to make. 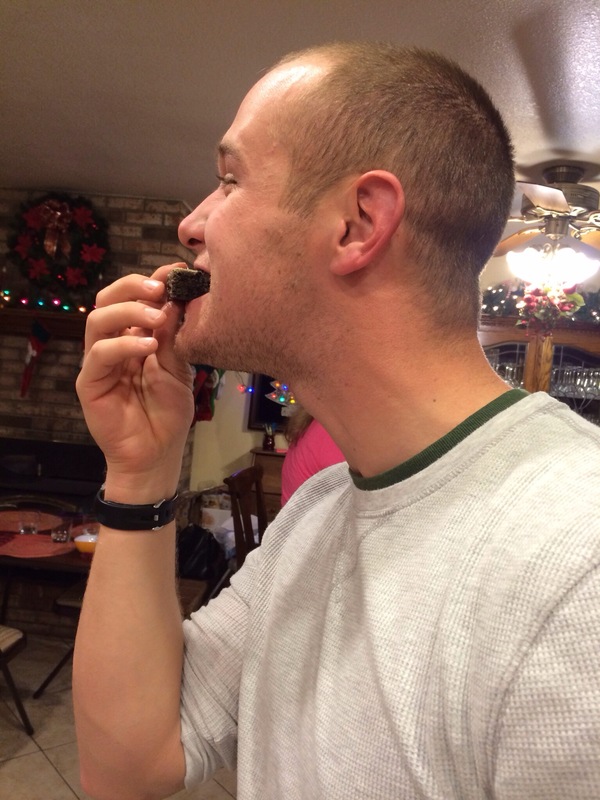 And who doesn’t love Oreos? I’ve been buying a lot of Oreos lately. You’ll see what I mean later this week. 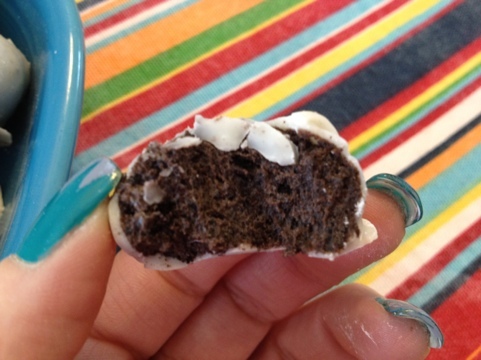 Twist Oreos open, and push sticks into the Double Stuft filling. 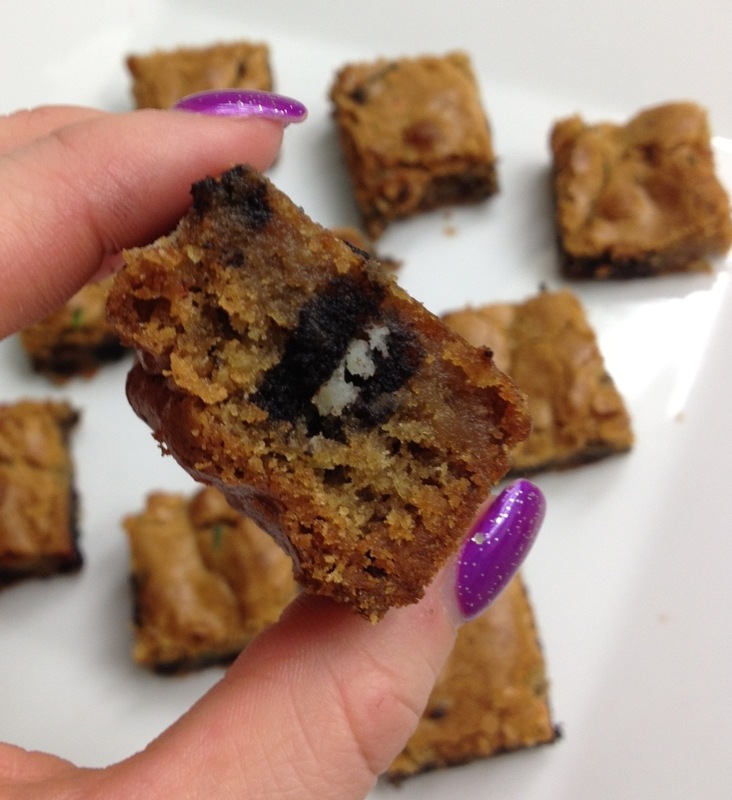 Add a dab of candy melts, then top with the twisted off cookie. 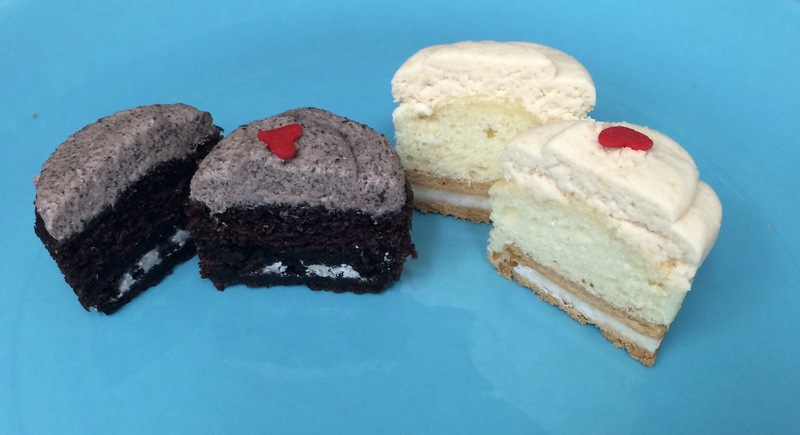 Pop them into the fridge to set up. This only takes a couple minutes. Then dip the Oreos into the candy melts, making sure to fully cover. 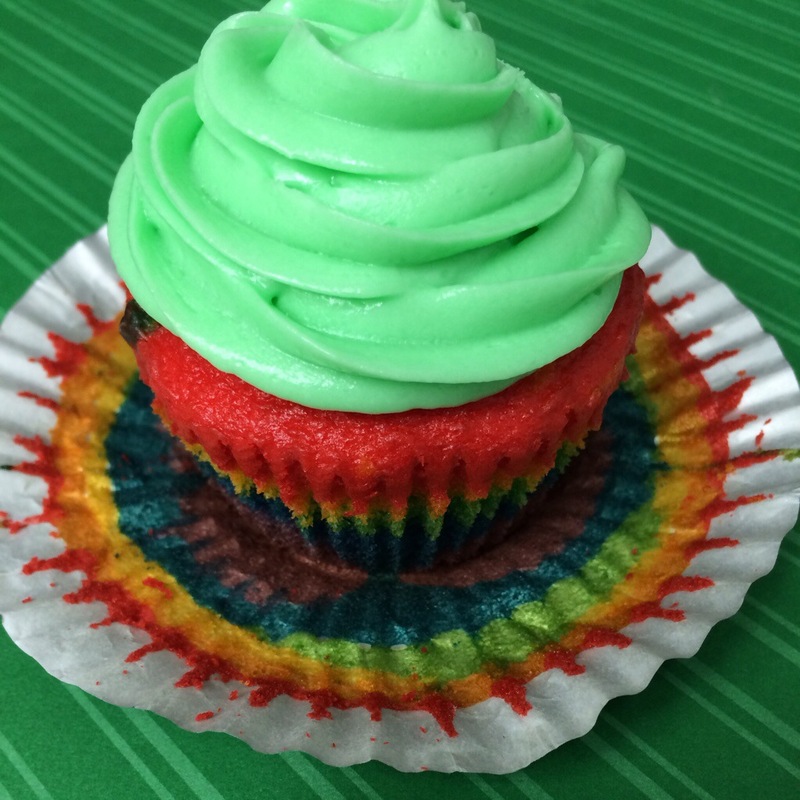 I melted a second color to add a little drizzle, but sprinkles would look great too! I covered the regular Oreos in purple and the Golden Oreos in orange. 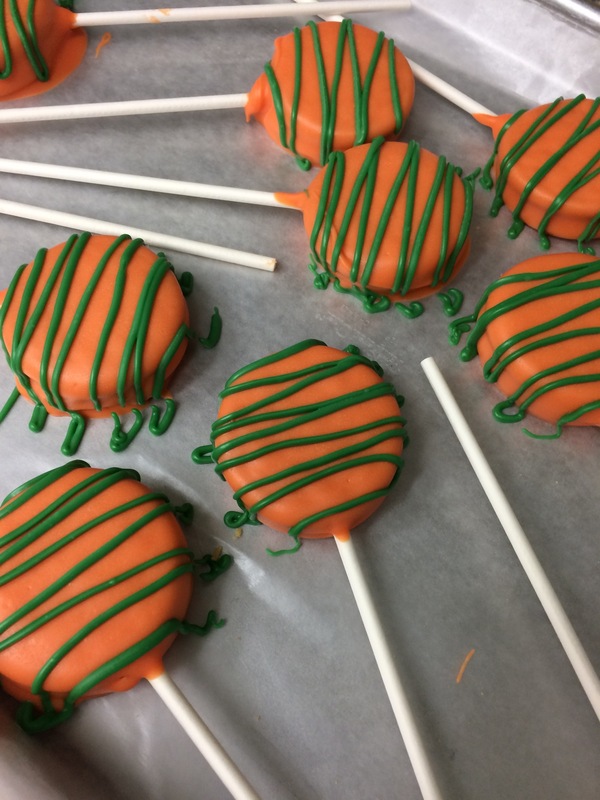 Obviously these were for Halloween, but they are so easy to make that they could be any color and perfect for any party! 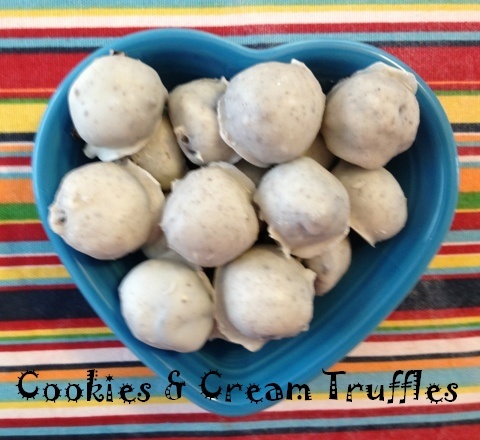 These are a twist on the Cookies & Cream Truffles I made a while back. This time I used Birthday Cake Golden Oreos. 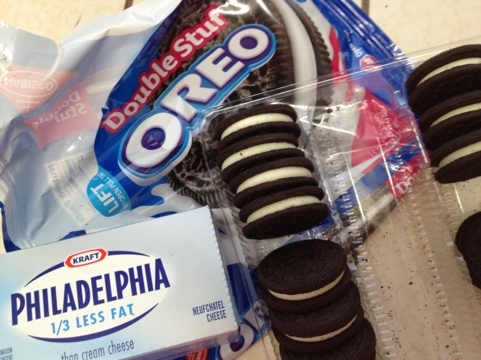 1 full pack of Oreos crushed + 1 brick of cream cheese (I use the 1/3 less fat kind). 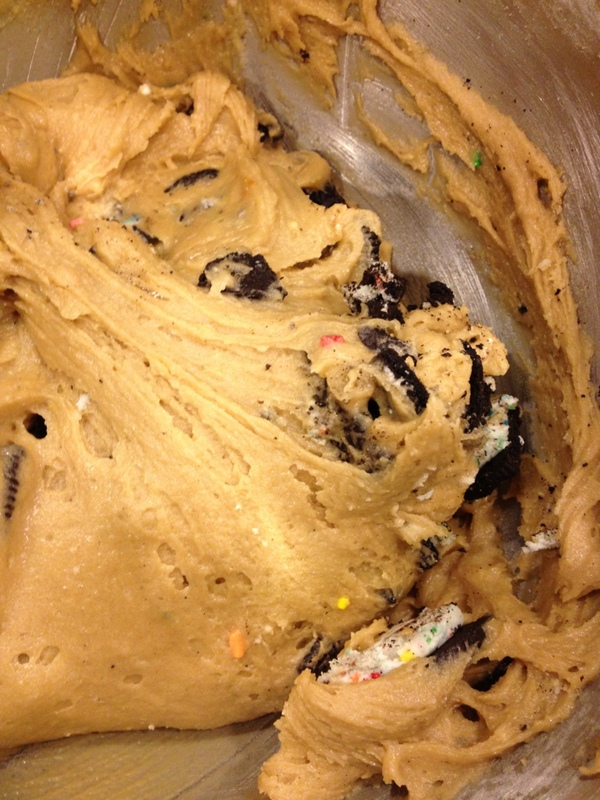 Mix it into a dough, chill, roll, chill, dip, sprinkle. Then chill until it’s time to enjoy! These are pretty rich, I could only handle 1 at a sitting. Remember me? That girl that used to bake and blog about it? I’m also back to work full-time, which means basically no time for sugar, butter, and flour. BUT. My brother was home for Christmas, and I promised him I’d bake him something. 2. Melt butter. Beat with brown sugar until smooth. 3. Beat in vanilla and egg. 4. Add salt, then stir in flour until fully incorporated. 5. Mix in Oreo crumbles by hand. 6. Spray a 13×9 pan with non-stick spray, then pour batter into pan. Spread the top as even as possible. 7. Bake for 20 minutes. Let cool completely before cutting so that the ooey gooey inside can set. At first I thought I out too much Oreos in it because the batter was SO thick. I was worried it wouldn’t bake up well. WOW I was wrong. These were amazing! My brother is away in the military. He’s been gone for almost 5 months now, and I am missing him like crazy! Before he left he lived with me. We are very close! My parents went to visit him, so I had to bake him up something yummy to send with them since I couldn’t go along. I had a hard time coming up with something. Not because he’s picky (he loves anything with sugar in it), but because it had to travel well. They weren’t flying, so it didn’t need to be packed up necessarily, but it couldn’t be something that had to be refrigerated, or something that could melt (and when it’s 110 degrees here that’s nearly everything). Also, he’s not that into sugar cookies so I didn’t want to go there. 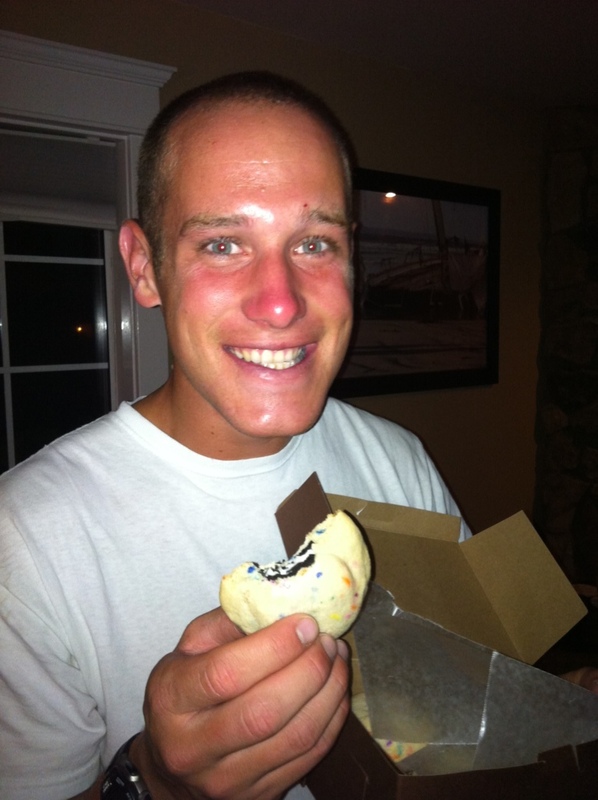 Somehow I arrived at the idea for these cookies, and I knew he would love them! 2. Add eggs and vanilla and beat to combine. Scrape bowl if necessary. 3. Keeping mixer on low speed, add salt and baking powder. 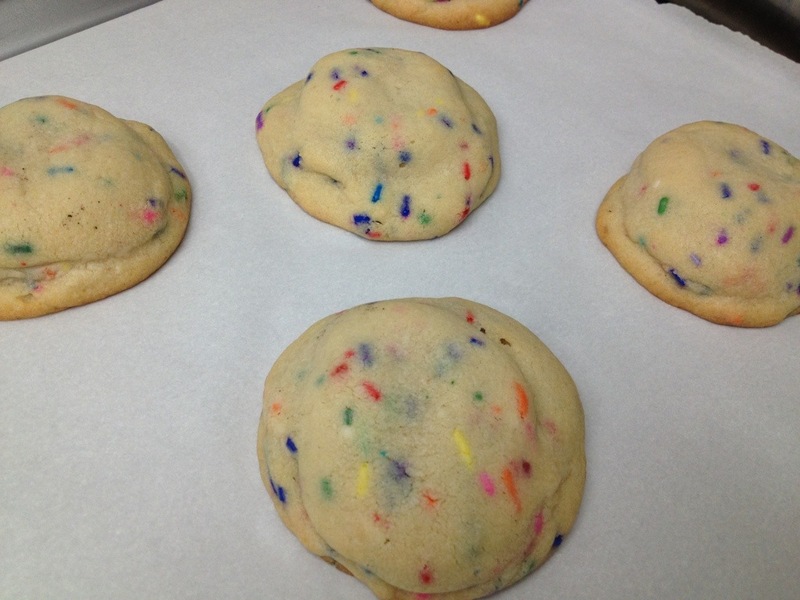 Slowly add flour then dry funfetti cake mix. 4. 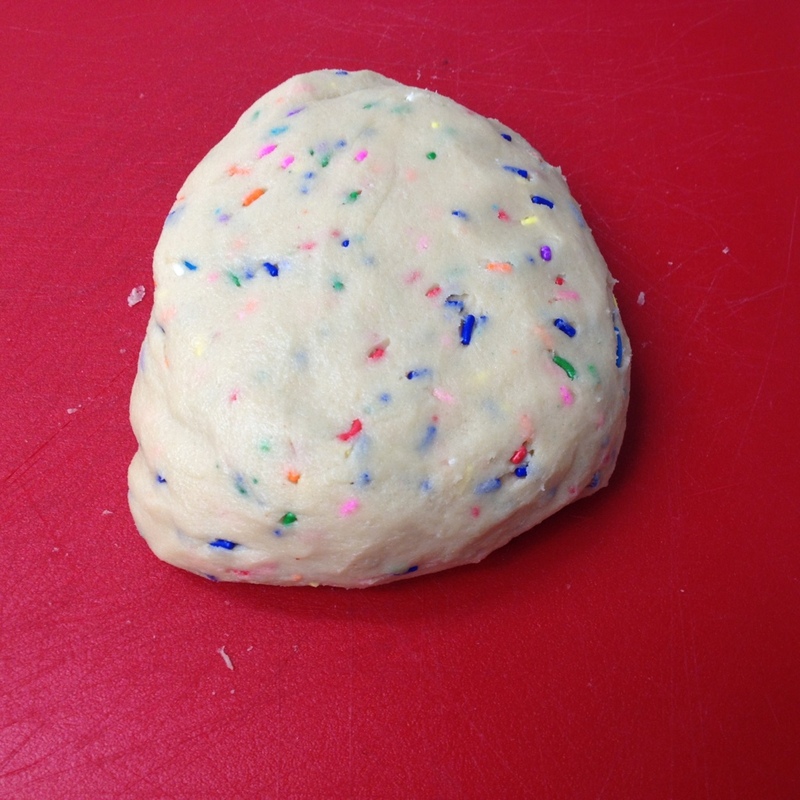 I kneaded my extra sprinkles in by hand, but I guess you can do it with the mixer. It might just chop them up a bit instead of leaving large sprinkle pieces. 5. Grab about a 2 tbsp size ball of the dough. 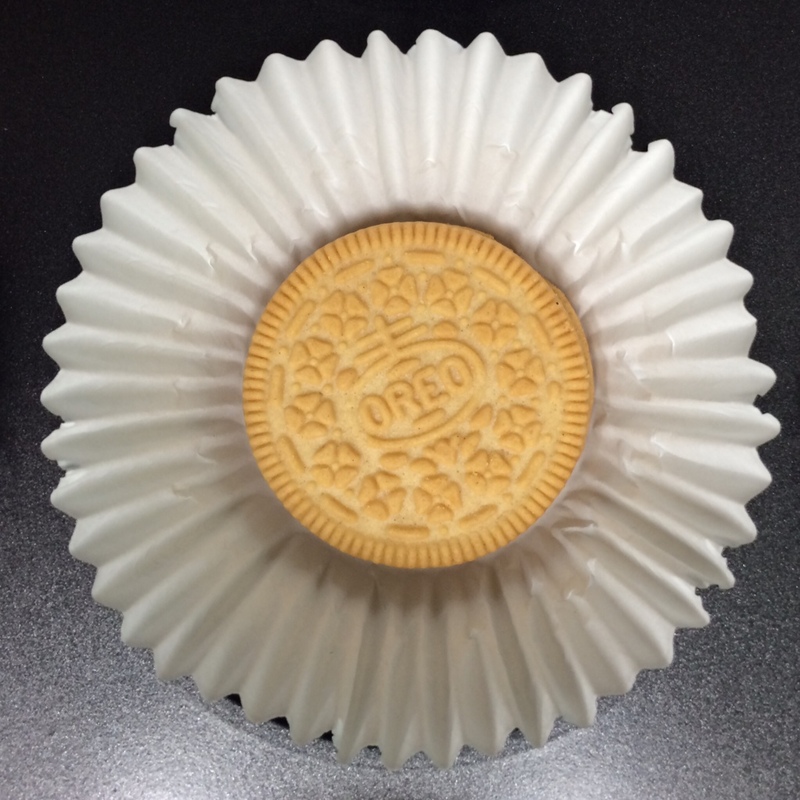 Flatten it in your palm, then place an oreo in the center. 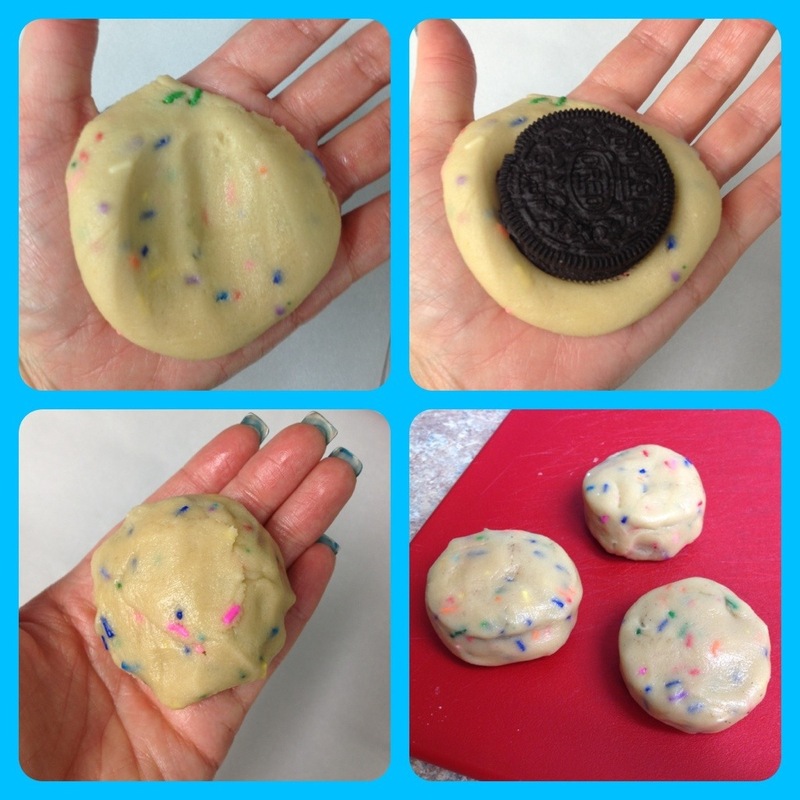 Shape the dough around the oreo, making sure to cover it completely. It helped to kind of roll it around in my hand to smooth it out and to make sure it was totally covered. 6. Space about 2″ apart on baking sheet, and bake for 15-20 minutes at 350* or until edges start to turn golden. Cookies will be super puffed up, but will flatten a little as they cool. 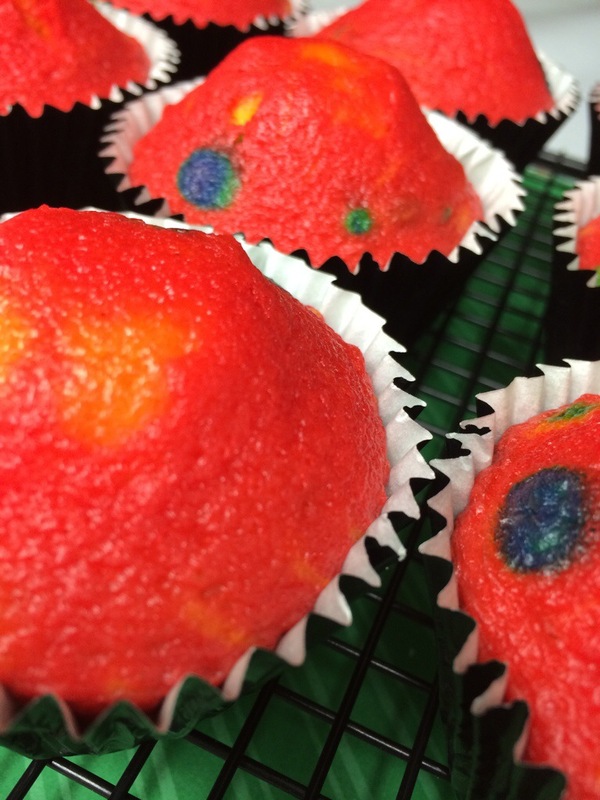 Wait 5-10 minutes to move them to a cooling rack so they can set up. 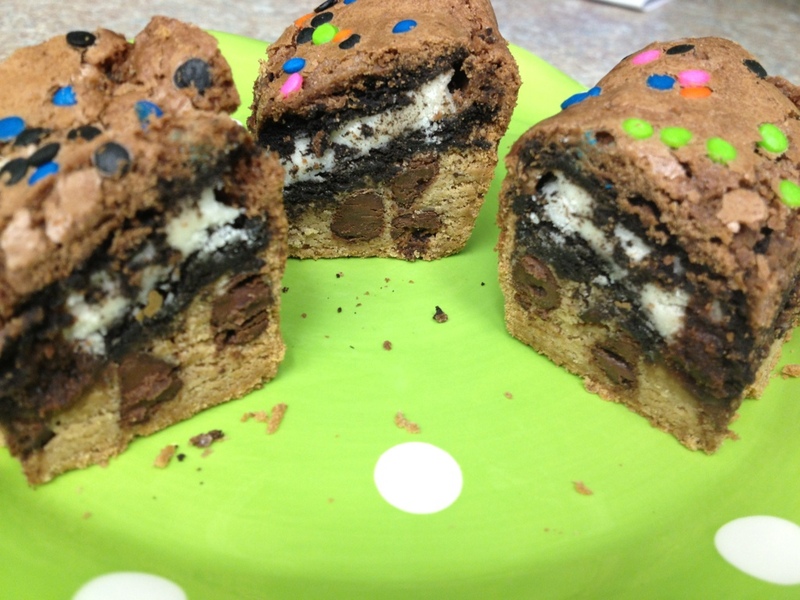 Next time, I’m going to try to find those little mini oreos so I can make mini versions! Don’t let the name fool you – these brownies are a very good thing. I don’t know where the name came from, but it’s a real thing so I figured it made more sense to leave it be. Especially when they’re this good. 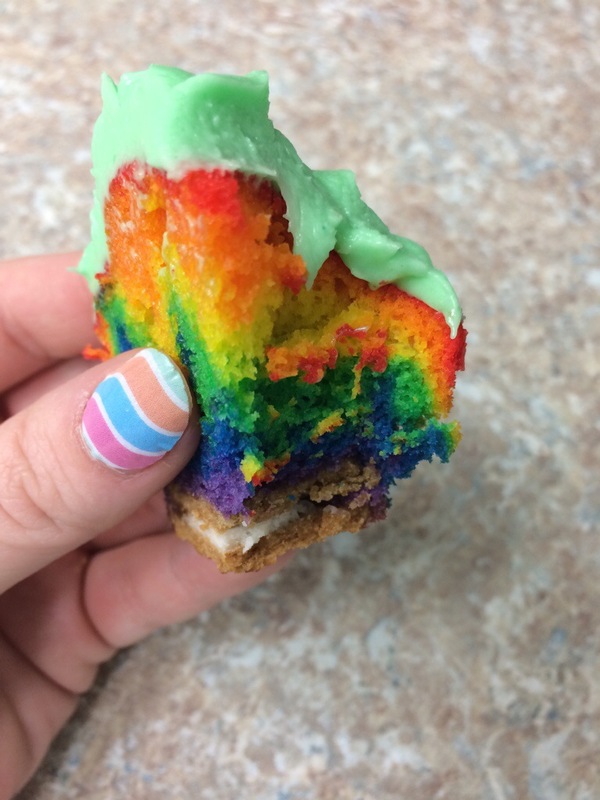 Just a quick note – There are multiple layers to these, so I listed some of the same ingredients twice. They’re listed in the order that you need them. Don’t be scared by the long list, these are easy! I put a line between each layer to help break it up. 1. First layer is chocolate chip cookie. Mix together melted butter, brown sugar, and white sugar. Add the egg and egg yolk, and the vanilla, scraping the bowl if necessary. Mix in baking soda and salt, then slowly add the flour. 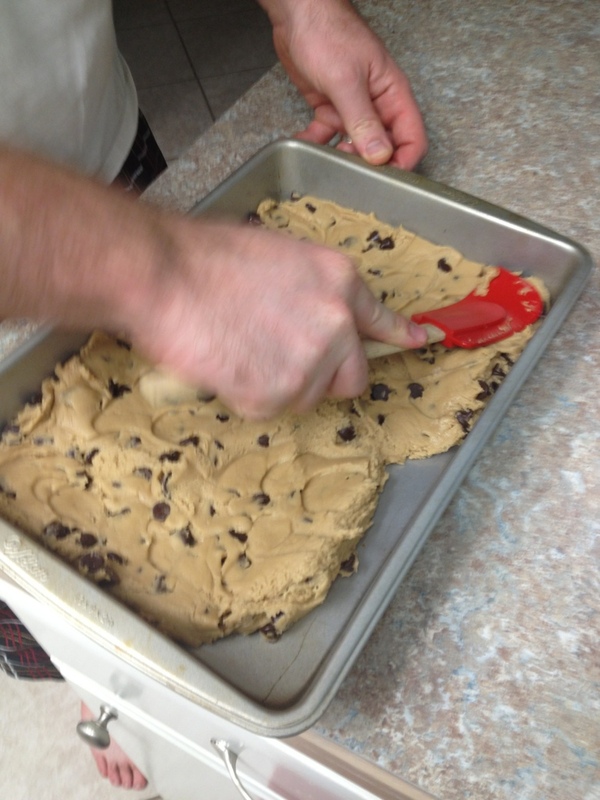 Mix in the chocolate chips by hand. 3. 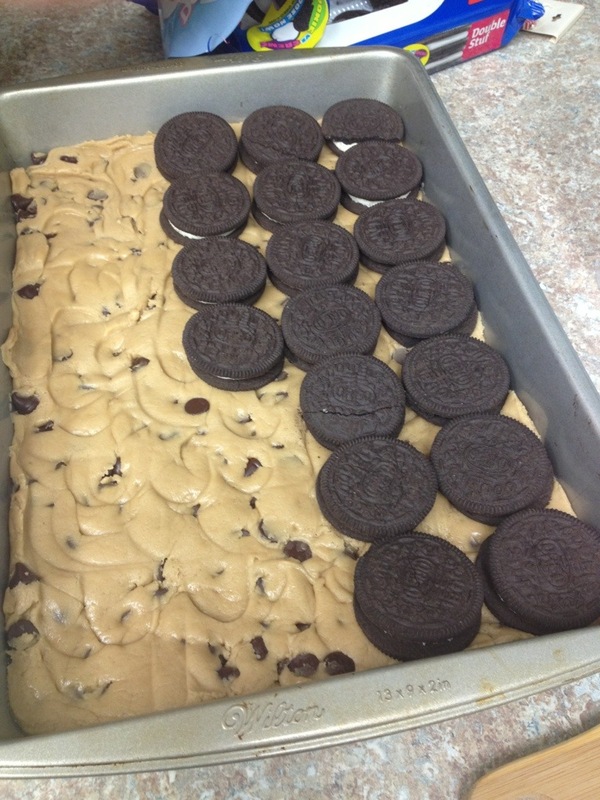 Press the oreos into the chocolate chip cookie dough. You might have to spread them out a little to make sure there is oreo across the whole surface. Might even have to break some in half to reach the bottom. 4. 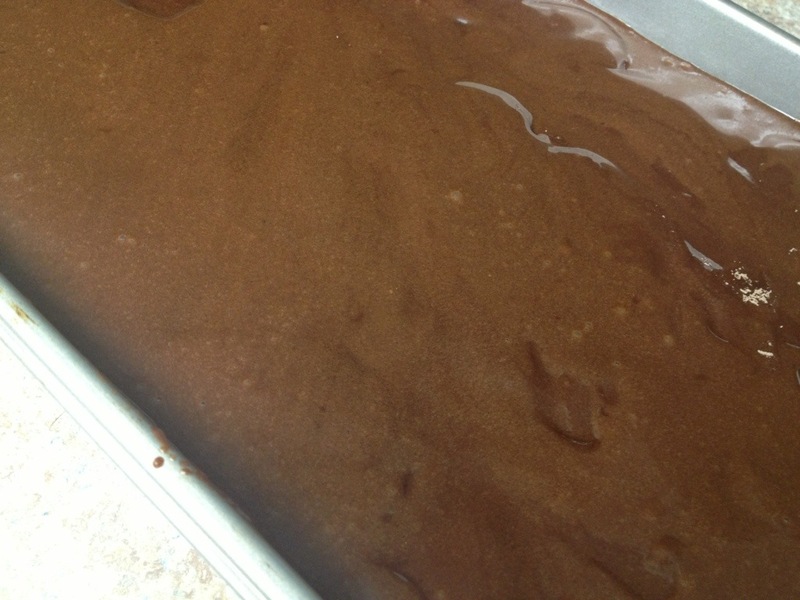 Time to make the brownie batter! Mix together the oil and sugar. Add vanilla and eggs. 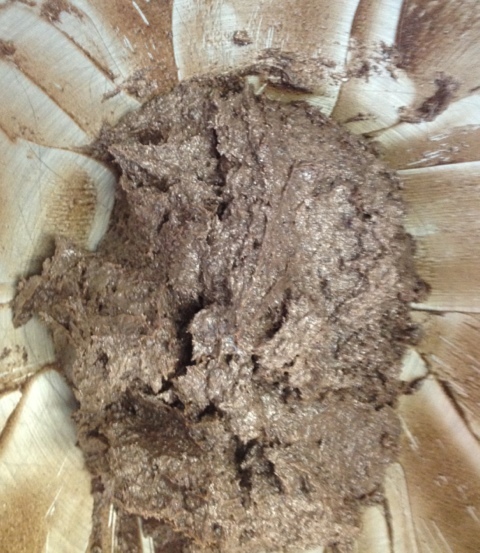 In a separate bowl, whisk together flour and cocoa powder, baking powder, and salt. Slowly add to wet mixture. 5. Carefully pour batter over oreos, making sure to cover them completely. 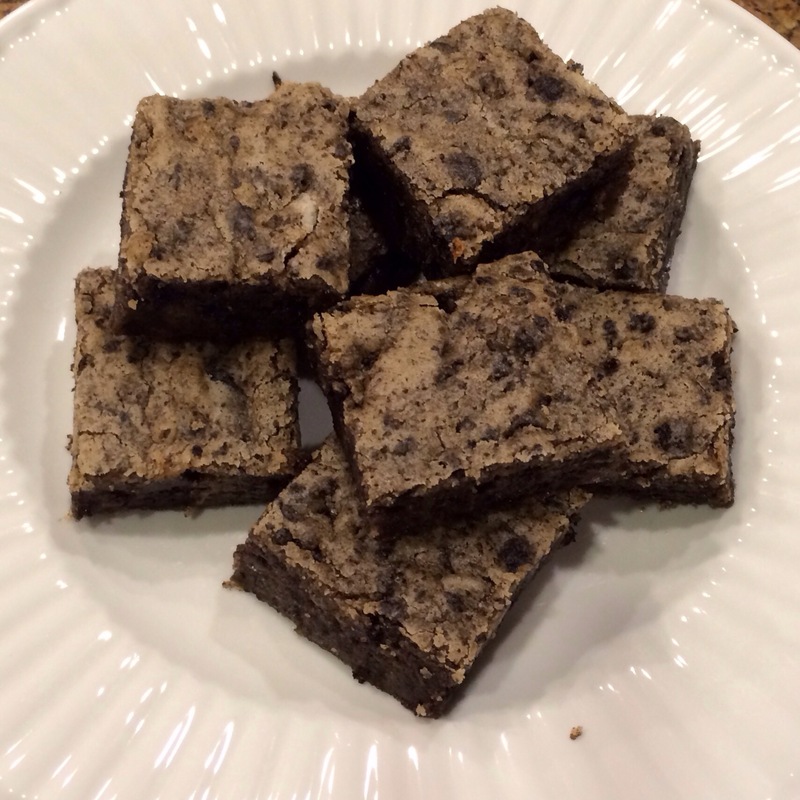 Use a spatula to push batter into the corners and between all the oreos. 6. Bake at 350* for 25-30 minutes. Check the doneness by sticking a toothpick in between where the oreos are to make sure the brownie batter is cooked thoroughly. Let cool completely before cutting. Seriously, let them cool. I made these the night before going camping, and we didn’t have them until the 3rd night. 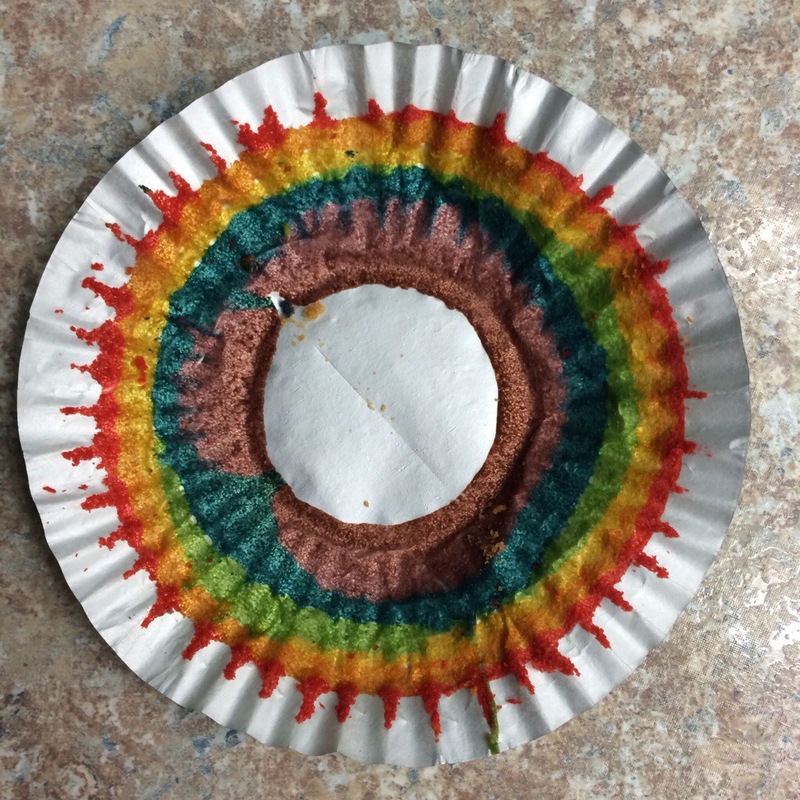 I just covered the entire pan in foil and waited patiently! 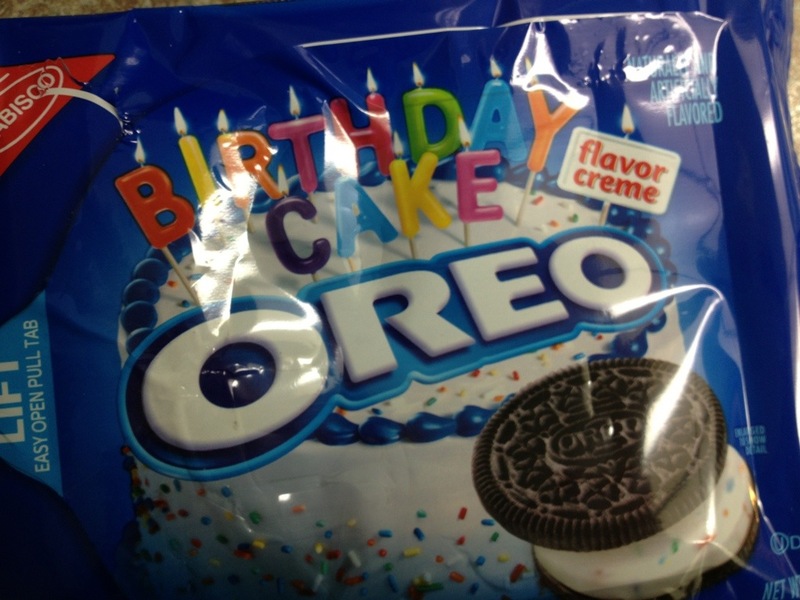 Birthday Oreos are back in stores. This is cause for a celebration of birthday proportions. I give you, Double Birthday Blondies. I started with my basic blondie recipe, and went to town. 3. Beat in vanilla and egg, then add salt. 4. 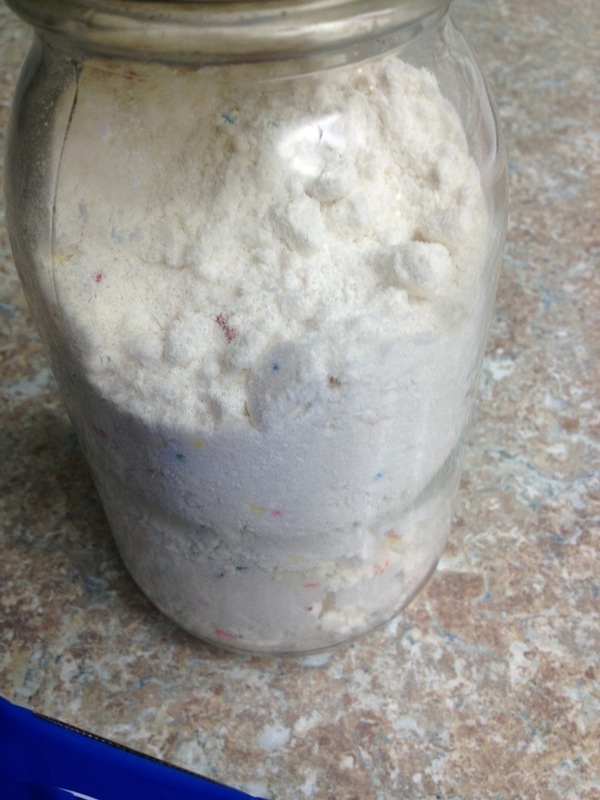 In a separate bowl, whisk together flour and funfetti cake mix powder until all lumps are gone. Slowly add to batter and mix until fully incorporated. 5. 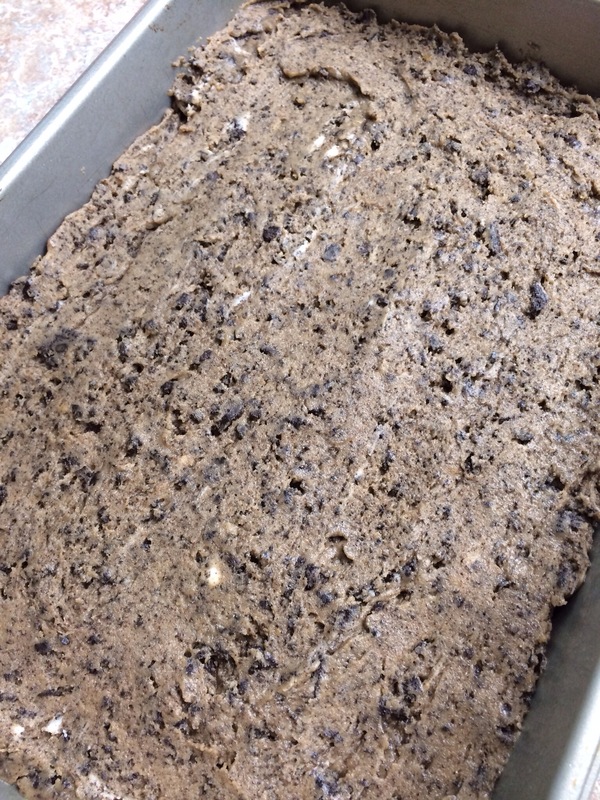 Mix in Oreo chunks by hand. 6. Spray a 13×9 pan with non-stick spray, then pour batter into pan. Smooth out as evenly as possible. 7. Bake for 25 minutes, or until center is set. Let cool completely before cutting so that the ooey gooey inside can set. Make vanilla mallows according to this recipe. When all the whipping is done, stir in 1/2 cup crushed Oreo cookies. 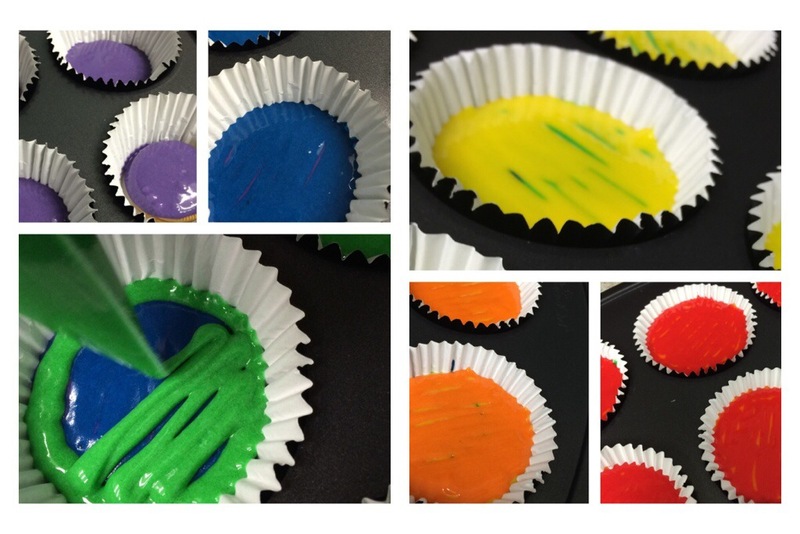 Instead of using powder to coat the sticky mallows, I used more crushed cookies! a.k.a. 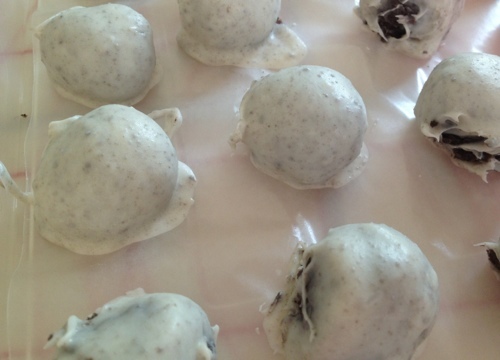 Oreo Balls or Oreo Truffles. Chances are, you have had these, or at least seen or heard of them. This is not some new idea or concept that I created. But they are brilliant. And easy. And oh so yummy. We just need 3 ingredients. An entire pack of oreos. If you must eat one, just buy the 2nd bag. Trust me, you want all the oreo goodness of the entire bag in this! An 8 oz. block of cream cheese. I used 1/3 less fat. Can’t even tell the difference, so might as well be somewhat healthier, right? Candy Melts. One bag was not quite enough. You could also use regular chocolate chips, or almond bark. I couldn’t find almond bark at my grocery store so I went with candy melts. 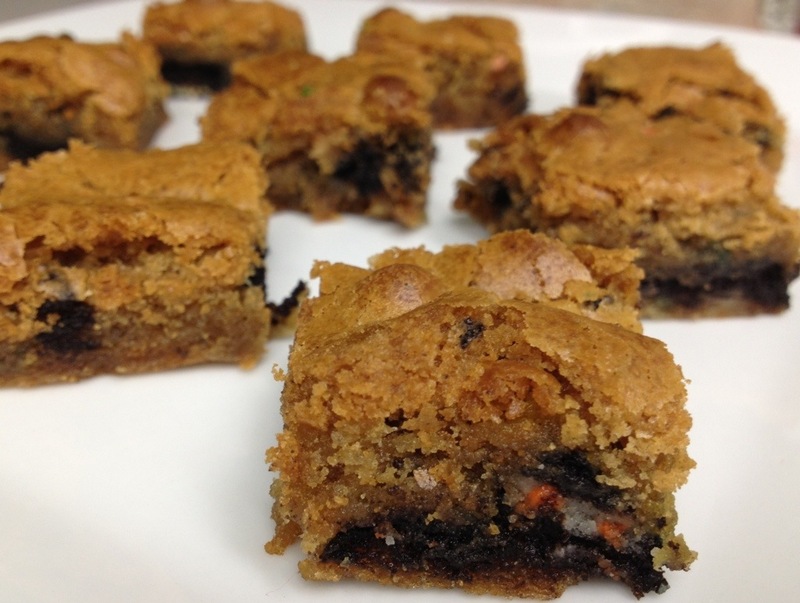 Chop up the oreos in a food processor. If you don’t have one, you could put them in a big zip top baggie and smash them. They don’t have to be perfect smithereens, they will still be amazing. 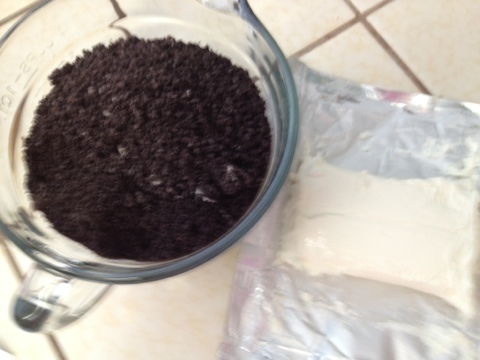 Mix the oreo crumbs and cream cheese together. I used my Sheila, but a wooden spoon would also be fine. Pop that in the fridge for 10 minutes or so to firm up a tad. 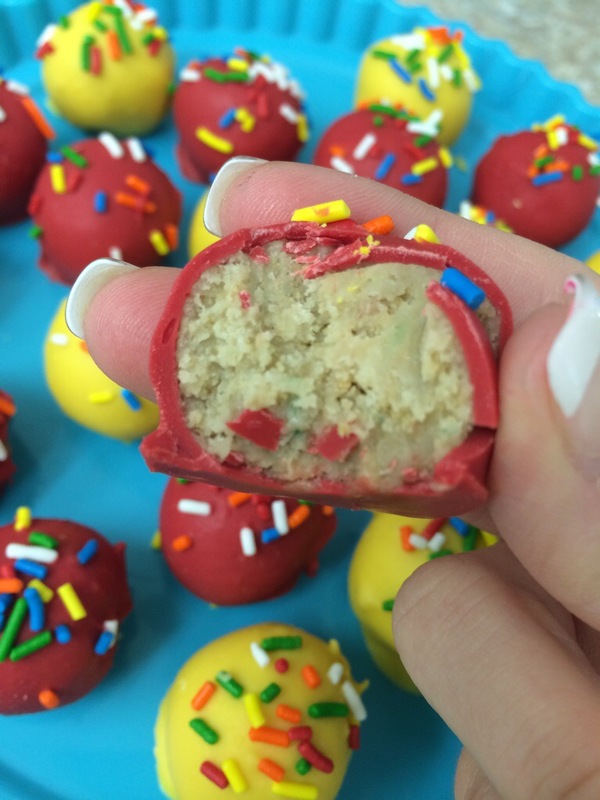 Roll into balls, set on a wax paper lined baking sheet, and pop it back in the fridge. 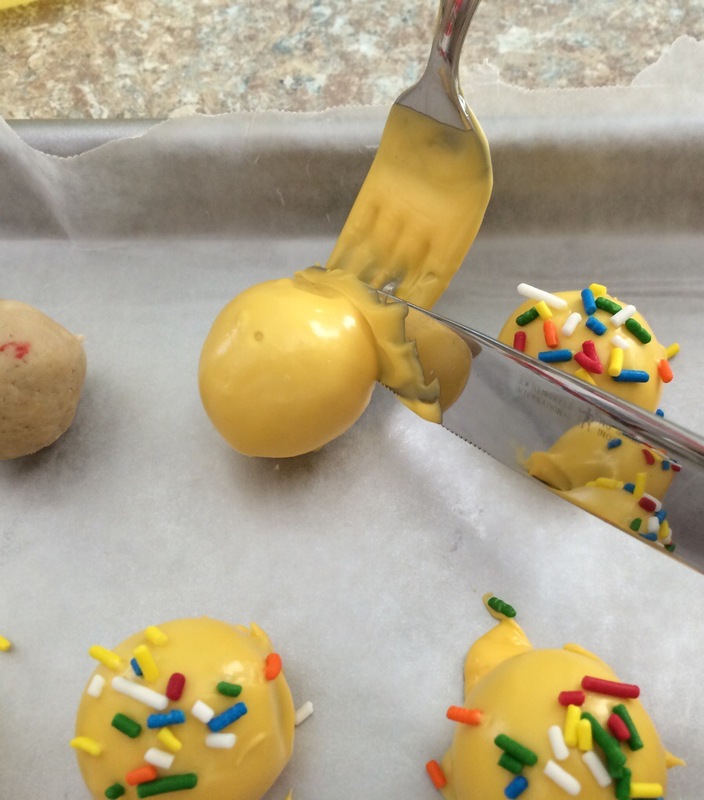 At this point I made sugar cookies, so the balls probably sat in my fridge for over 2 hours. I would think 20 minutes would be sufficient though. Once the balls are chilled, melt your candy melts (or chocolate) and dip the balls one at a time into the candy with a fork, tapping the excess off on the side of the bowl. They don’t have to be perfect. 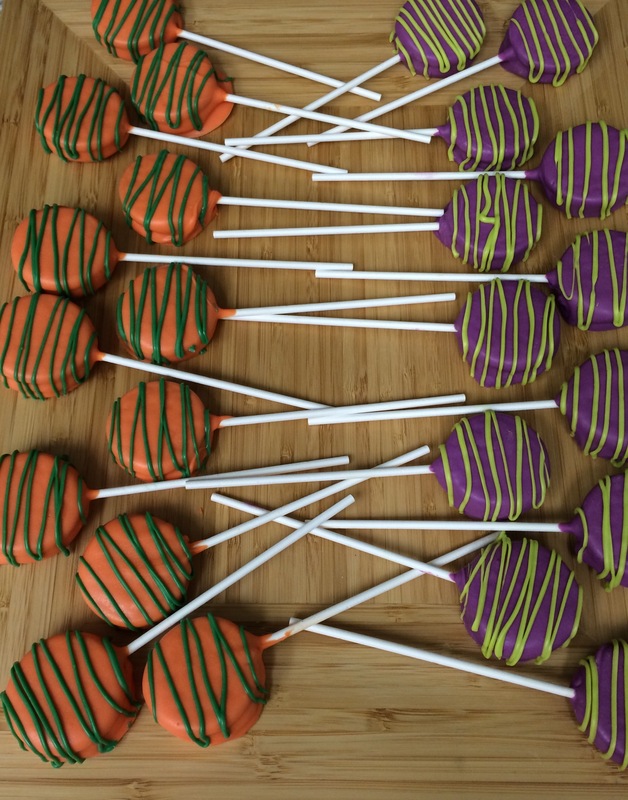 I started off doing okay, they were looking pretty cleanly/perfectly dipped, but then a couple balls got scraped and the oreo started mixing into the candy melts. I almost started stressing but then I realized it made them look like cookies and cream, which makes perfect sense! 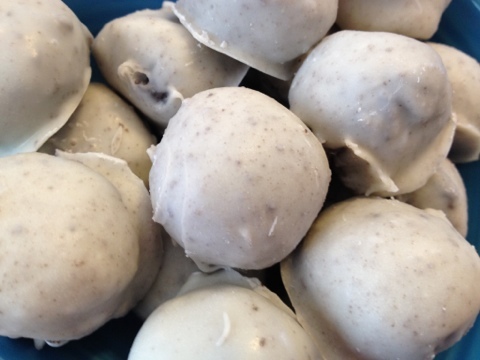 So that’s why I decided to call these Cookies & Cream Truffles. 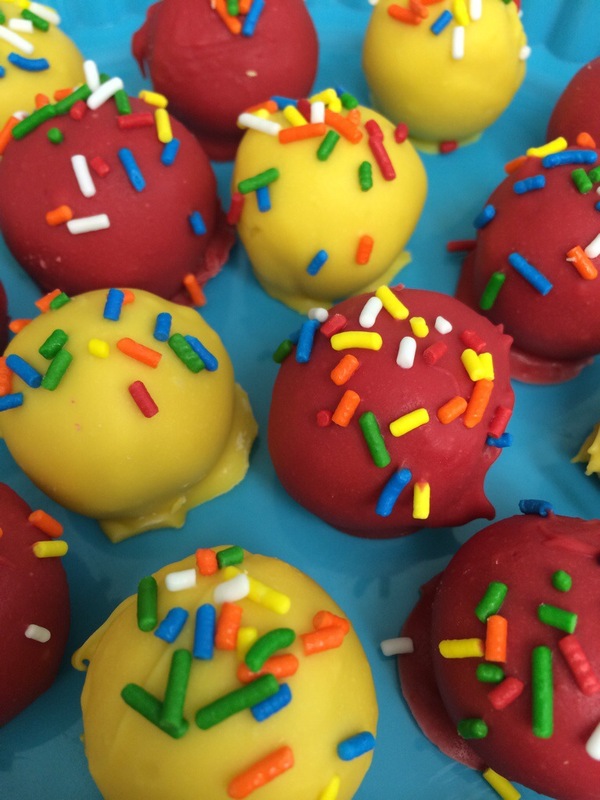 After the balls are all coated, pop the tray back in the fridge to harden up. Once they are set, eat one. 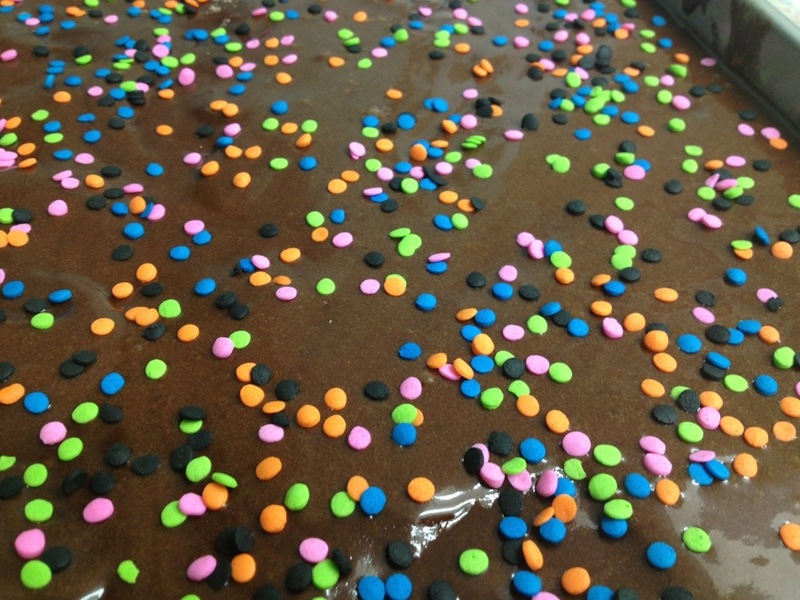 Then peel them off the wax paper and break off the excess candy if possible. I actually made these for my brother (by special request) for his birthday yesterday. Glad I did, they were pretty tasty!